The Oslo Business for Peace Award is given to inspiring business leaders around the globe who have accomplished extraordinary things. The award honours ambassadors of businessworthy values, who are shaping society for the better. The 2019 recipients are: Dr Agbor  Ashumanyi  Ako, co-founder of GiftedMom, Alice Laugher, the CEO of CTG (Committed  to Good) and Hamdi  Ulukaya, the founder and CEO of  Chobani. These three leaders are at the helm of companies which have a broader view than just the bottom line and see business as a tool for change. As individuals, they look at the world around them and work to improve it. Agbor  Ashumanyi  Ako is one of the co-founders of  GiftedMom, a digital health platform based in Cameroon that gives pregnant women and mothers across Africa access to vital health information and care. As a digital-first platform, GiftedMom is able to expand faster than traditional health care systems and the start-up aims to reach 10 million women in the next 10 years. Started by Alain Nteff and Doctor Tankou Conrad in 2012, the platform now has over 170,000 users. The award-winning app has significantly improved both pregnancy check-up attendance and vaccination turnouts, with an ultimate goal to see a world free of preventable maternal and infant deaths. Alice Laugher is the CEO of CTG,  Committed  to Good, which provides employment and logistics services to development and relief programmes in fragile and conflict-affected countries. From running Ebola treatment clinics in Liberia, to food distribution in Afghanistan and South Sudan, monitoring and assisting refugees in Libya, and rebuilding government constitution in Somalia, the work of CTG is as diverse as our world’s issues. Hamdi  Ulukaya  is the founder and CEO of  Chobani, the company behind the number one Greek yoghurt in America. Today,  Chobani  has over 2,000 employees in the United States, 30 percent of which are legally resettled immigrants and refugees. Ulukaya has created a corporate culture in which everyone is welcome and has an opportunity to thrive with innovative profit-sharing and parental leave programmes. Ulukaya  has also taken a leadership role in the global business community to encourage action from the private sector to tackle the global refugee crisis. The Oslo Business for Peace Award is given out annually to exemplary business leaders who apply their business energy ethically and responsibly, creating economic and societal value. Winners are selected by an independent committee of Nobel Prize winners in Peace and in Economics after a global nomination process through the International Chamber of Commerce, United Nations Global Compact, United Nations Development Programme, and Principles for Responsible Investment. The Award Committee consists of Ouided Bouchamaoui (Tunisia), Leymah Gbowee (Liberia), Finn Kydland (Norway), and Eric Maskin (USA). The committee evaluated the nominees on the criteria of being a role model to society and their peers, having earned trust by stakeholders, and standing out as an advocate. The three winners will receive the Award in a ceremony at Oslo City Hall on 15 May 2019 as part of the annual Business for Peace Summit. 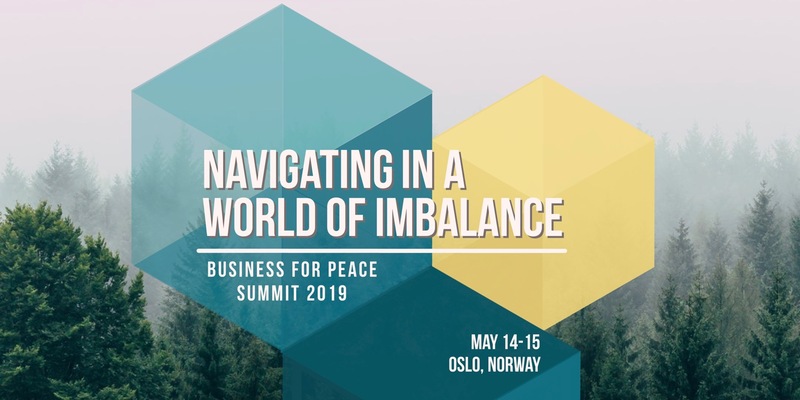 Business for Peace is pleased to share the programme for the 2019 Summit: Navigating in a World of Imbalance. The Summit aims to provide businessworthy leaders with the knowledge, inspiration, actions and the networks necessary to effectively create social impact through their work. The Summit will explore different perspectives of imbalances and which role technology and investment can play, all with the objective to identify tangible actions for business leaders. Through deeper understanding of the challenges and through cross-sector conversations, the Summit will offer insight and actionable ideas for how business leaders and investors can play a greater role in driving an inclusive and prosperous future for all. The Summit takes place 14-15 May 2019 in Oslo, Norway. View the full Summit programme and For invite-only events, you can submit a Request to Attend form as well. The Award Ceremony is open to all members of the public. On March 20, we will announce who will receive the 2019 Oslo Business for Peace Award. Following a global nomination process through our partners, the International Chamber of Commerce, Principles for Responsible Investment, UN Development Programme, and UN Global Compact, our Award Committee of Nobel Laureates has made its selection. Tune into our livestream on 20 March at 9:00 CET for the announcement. Hear from Raymond Johansen, Governing Mayor of Oslo, Per Saxegaard, Board Chair of Business for Peace, and Fiona Reynolds, CEO of Principles for Responsible Investment, as they share the news. This year, Business for Peace has launched an afterwork series with MESH in Oslo. 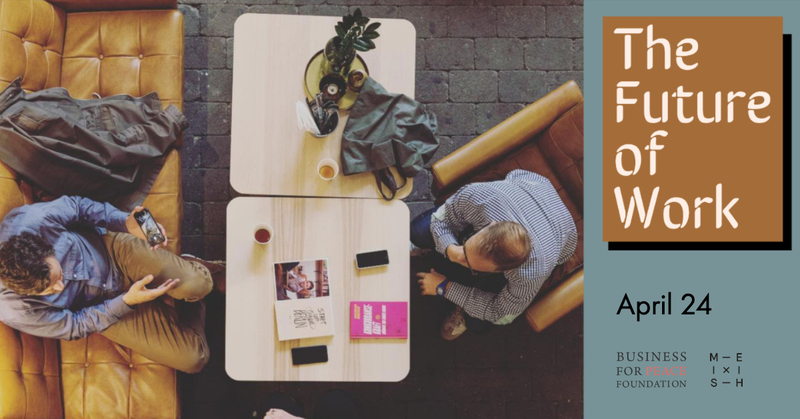 Following our first events, The Future of Cities and The Future of Climate Leadership we’re happy to announce our third afterwork talk, The Future of Business Leadership. During this conversation, we will discuss the growing need for conventional thinking about business leadership to change. We’ll cover how globalisation, climate change, and consumer demands for transparency are all shifting the landscape for businesses, prompting leaders to consider not only profits, but also people and the planet. To ensure a sustainable and inclusive future, we need ethical leadership from all facets of society to work together, but how are today’s purpose-driven business leaders approaching this landscape? And what will bold business leadership look like in the future? 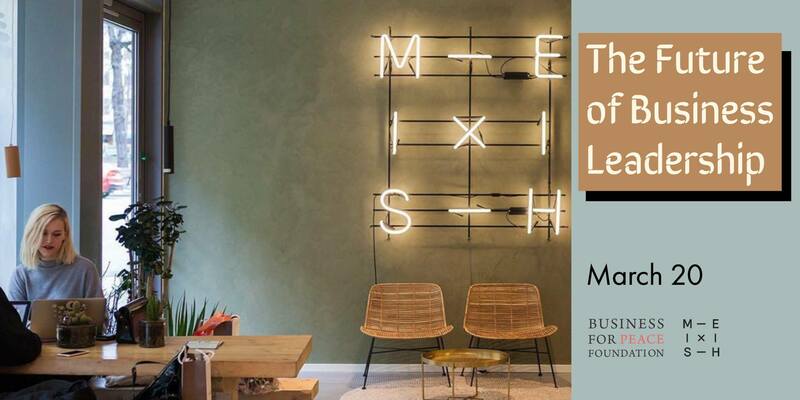 Join us March 20 to hear brief talks from each of our guest speakers, Tore Lærdal, Managing Director of Lærdal Global Health, Tharald Nustad, Founder of Nordic Impact, and Susan Hagerty Bonsak, Business Executive Officer at Nespresso Norway. Then stay for a discussion and Q&A conducted by our moderator, Stine Lise Hattestad Bratsberg, CEO of Pure Consulting. We’ll also be announcing the winners of the 2019 Oslo Business for Peace Award. Susan Hagerty Bonsak is a seasoned executive and leader, having successfully started, reshaped, developed and boosted many divisions and companies. She has had the pleasure of working with and learning from some great people, as well as motivating and helping others realize their potential. She has worked with FMCG, high-tech and telecom companies, whether being start-ups, family-run companies or large corporations. She believes at the end of the day it really is all about the people and the company – not the sector, industry or type of organization – that makes a company exciting to work with. Passion, ethics, vision, curiosity are essential ingredients for companies! Experiencing and learning how companies can make an impact on communities and the world is simply inspiring. 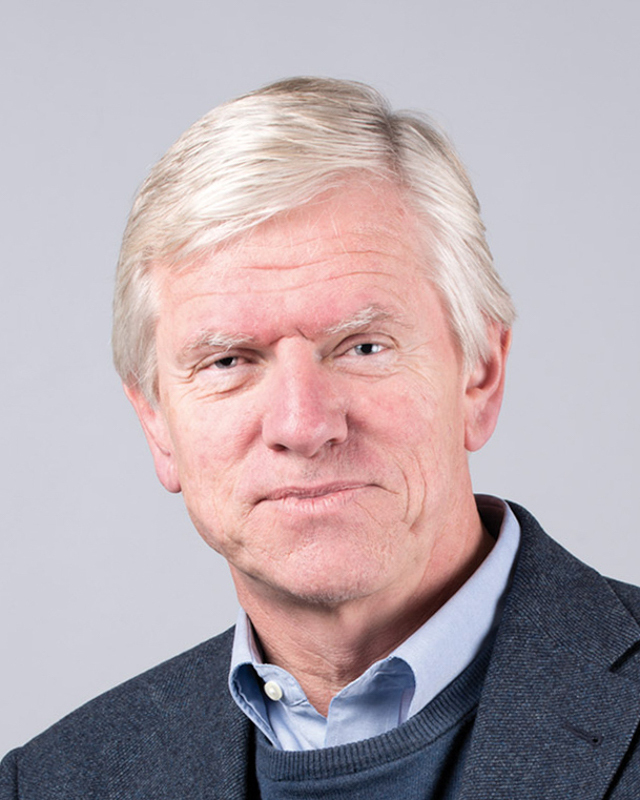 Tore Lærdal is the Executive Chairman of Lærdal Medical, the global leader in resuscitation training and therapy products, and a 2016 Oslo Business for Peace Award Honouree. Lærdal Global Health is a non-profit affiliate of Lærdal Medical, and provides affordable products to help save lives from birth in poor countries. The goal of the group is to save 500,000 lives per year by 2020. Mr. Lærdal is an example of how linking business to a wider, social purpose can create exceptional results – for both business and society. Tharald Nustad is the founder of Nordic Impact. He is a tech entrepreneur and investor focusing on impact technology. He works closely with Ashoka helping social entrepreneurs, and leads Mallin, a family office focusing on Impact real estate development and investing in impact funds. Tharald is founder and chairman of Plastilin, an incubator that starts, develops and invests in tech and communication businesses. He also invests in early stage impact startups with a tech foundation through his personal investment arm Nordic Impact, including the Katapult ecosystem. Stine Lise Hattestad Bratsberg is the CEO of Pure Consulting and a former Olympic gold medalist of freestyle skiing. She has 20 years of experience in developing business strategies and communication addressing sustainable development.